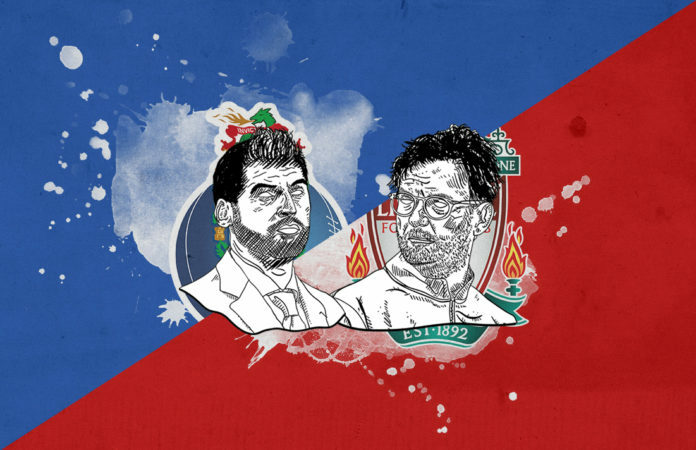 Home Match Analysis Tactical Preview Do Porto have what it takes to overcome Liverpool’s two-goal advantage? Premier League leaders Liverpool travel to FC Porto looking to wrap up a place in the semi-finals of the Champions League for a second successive season. With a 2-0 advantage from the first leg at Anfield, the Reds are odds on to progress, with the Portuguese side facing a mammoth task ahead of them in what would be one of the most unlikely of Champions League comebacks. Whilst this game may not hold the most interest for the casual observer, from a tactical and coaching perspective there will be a fascinating subtext to the game. 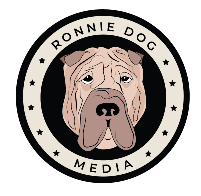 This tactical analysis preview will demonstrate why. Following the first leg, both managers were quite candid about the tactical battle that unfolded on Merseyside, particularly around the surprise system that Sérgio Conceição utilised as an attempt to contain Liverpool. With Porto usually deployed in a 4-4-2 system, Conceição opted with an unfamiliar 5-4-1 / 3-4-3, a surprise to everyone including Liverpool manager Jürgen Klopp. Conceição explained that the change was motivated by the strengths that Liverpool possess, and the change was more of an act of containment to limit the spaces that the Reds’ forward line of Sadio Mané, Mohamed Salah and Roberto Firmino could operate in. In reality though, Liverpool blew Porto away with two goals within the first 25 mins, with both goals highlighting weaknesses in the system chosen by the Porto coach. The first goal came as Liverpool caught Porto in transition, before Os Dragões could assume their out-of-possession 5-4-1 shape. In their 3-4-3 in-possession shape, this left the three Porto centre-backs one-on-one against Liverpool’s feared forward line, with space left down the sides. This is exactly the kind of space that Conceição was wary of being exploited in setting up as he did. With some clever movement from Mané he was able to gain separation from his marker Maxi Pereira. He dragged him into the wide areas to receive James Milner’s long pass before delivering a ball into the box leading to Naby Keïta’s deflected opener. The second goal also demonstrated flaws in Porto’s system, as unsurprisingly they struggled to adapt to a shape they haven’t used once this season. As Moussa Marega tracks Salah, and Trent Alexander-Arnold positions himself extremely high up the pitch this effectively creates a 2v1. With Marega tracking Salah, there is an extremely large space created in front of the Porto back four as Henderson is granted time and space to pick a through-ball under no pressure whatsoever. How will Porto set up? What does this tell us about how Conceição will set up in the return leg? It suggests he probably will return to the tried and trusted 4-4-2 system which his team know well, particularly with the tie to salvage and playing at home. The reasoning behind abandoning this in the first place may have been due to the fact that in the 4-4-2 system Porto’s wider midfielders tend to arrive in central positions. This could have potentially meant getting caught in transition down the sides where Liverpool’s marauding full-backs could go untracked and create 2v1s with ease. It is one thing containing counter-attacks in the Primeira Liga where Porto enjoy qualitative superiority over most opposition, but Liverpool are a completely different proposition altogether. It was understandable that Conceição looked to adapt his system in respect of the opposition and their qualities, but with a game of catch-up on the cards they may need to revert to the 4-4-2 system that they know well. In the 4-4-2, Porto push their full-backs extremely high as their wide midfielders occupy inside positions close to the pair of centre forwards. Both central midfielders will position themselves behind the ball in possession to circulate the ball and protect against counter-attacks. This often leaves just four players behind the ball in transition, which may be sufficient most of the time domestically, but could be easily exposed by this ruthless Liverpool side. This leads to possibly the most fascinating theme of the game and how both coaches attempt to manage proceedings. In a game of cat and mouse, it will be fascinating to see the mentality in which both sides approach the tie. With a two-goal advantage, does Jürgen Klopp look to put the game to bed by going on the offensive early on, or does he look to be more conservative and make a non-event of the game? 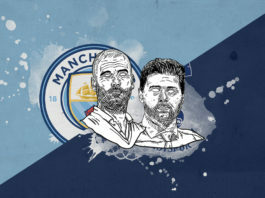 If the latter, he may opt to select a 4-2-3-1 system, with two holding midfielders positioned behind the ball to maintain a level of security at all times. Here the double pivot of Henderson and Fabinho position themselves just ahead of the defence and will stay behind the ball once it enters the final third. Robertson as left-back has dropped in to a back three as Alexander-Arnold moves higher up the pitch on the right. 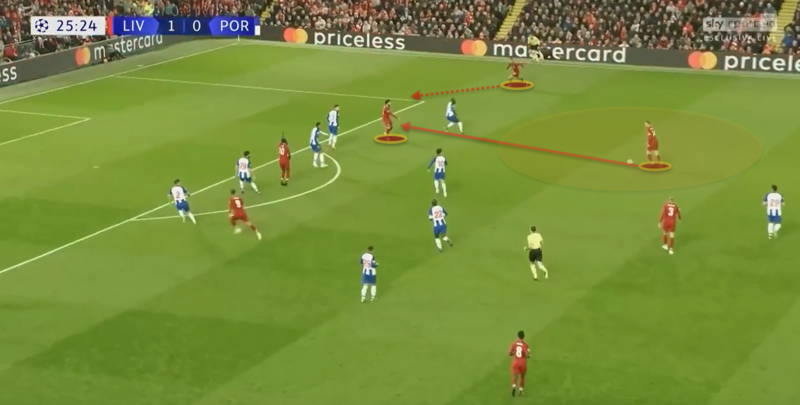 This structure of five means that the Reds are well protected to defend a counter-attack should a turnover occur, and may be something Klopp opts for to snuff out any threat from Porto. With a tough battle for the Premier League title that looks set to go the wire, this system may be less physically demanding for the Reds. 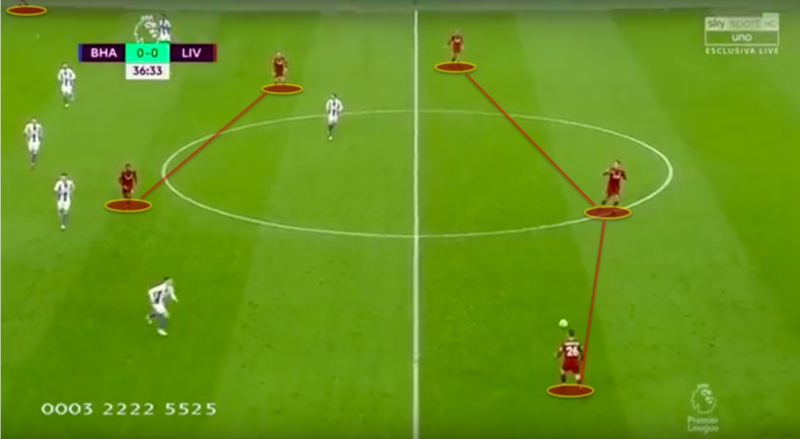 With a double pivot behind the ball containing counter-attacks, this will mean in theory Liverpool could expend less energy in their counter-pressing as they may with a single pivot in their standard 4-3-3 system. For Porto, Conceição has a delicate balancing act on his hands. The temptation is to go out all guns blazing and look to reduce the deficit as quickly as possible, but with Liverpool’s superior quality all over the pitch, this approach could be quickly dismantled. It may be that Porto look to keep the game alive for as long as possible, with the idea of saving themselves for a second-half assault on the Liverpool goal. It is unlikely that Porto can go toe to toe with Liverpool for a sustained period of time, so keeping themselves alive in the tie may be the strategy Conceição opts for. With Liverpool having had an exhausting game against Chelsea just last Sunday, Porto could use their extra day of rest between games to target the Reds in the latter stages of the game. If they do go with the 4-4-2 above, they may look at modifying how they occupy the pitch and use more withdrawn full-back positioning if they look to keep things tight for as long as possible. Ultimately this is going to be a huge ask for Porto to turn this tie on its head, as Liverpool remain overwhelming favourites. It is hard to imagine Liverpool not finding an away goal to kill the game off at some point. 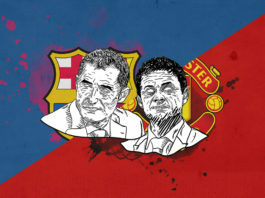 Nevertheless this game will still hold a fascination for coaches and analysts who may face similar situations themselves. 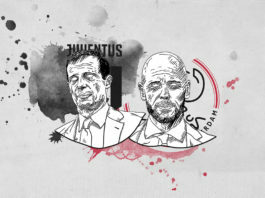 Both sides are battling it out for their respective titles, and the mentality in which both teams approach the game will hold a real interest. Tactically this game will be a fine test for the talented Conceição. After restoring Porto as the champions of Portugal in 2017/18 after a four-year drought, he now has the opportunity to grow his reputation in European competition by masterminding an unlikely comeback. For Klopp, he will surely look to make this a drama-free evening and his tactics may be more cautious than we have been accustomed to from the German. With the Champions League having more than enough recent form for astonishing comebacks, it will be interesting to see if Porto can make history themselves and progress to the semi-finals for the first time since 2004, when they went on to lift the trophy. Previous articleCan Manchester City fight back after their disappointing performance in the first leg?